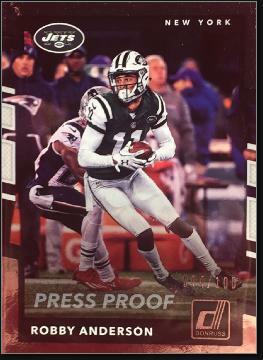 Eli Apple was born Eli Woodard on August 9, 1995 in Philadelphis and, after a brief period in New York City, grew up in the Camden County town of Voorhees. His mother, Annie, met Tim Apple, a successful chef, when Eli was a toddler and Tim became stepfather to Eli and his sister, Jordan. He legally changed his name to Apple when he was 17. Eli distinguished himself as a first-rate athlete—quick, strong, smart and powerful. He joined the Voorhees Eastern High football team in 2008, playing receiver and defensive back for coach Dan Spittal. The star of the team was quarterback Logan Ryan, who would go on to star for Rutgers and late for the NFL Patriots. By the time Eli graduated he was ranked as the top prep player in New Jersey and the #6 cornerback in the country. Eli accepted a scholarship from Ohio State. After red-shirting the 2013 season, he won a starting role in 2014. Eli was a big part of the Buckeyes’ march to the national championship. He made 53 tackles and was a freshman All-American and played well in the 59–0 wipeout of Wisconsin In the Big Ten title game. In the national championship game, OSU went in as underdogs to Oregon and QB Marcus Mariota. The Buckeye D held him in check and built a 42–20 4th quarter lead. Eli sealed the victory with an interception. Eli and fellow DB Vonn Bell continued their fine play in 2015. Eli earned second-team all-conference honors and was the Buckeyes’ defensive MVP. They lost one Big Ten game, to Michigan State 17–14, but that turned out to be a division tiebreaker so they did not make the conference title game. Eli’s final college game was the Fiesta Bowl, against Notre Dame. Ohio State demolished the Fighting Irish 44–28, with Ezekiel Elliot scoring four times. That victory earned OSU a #4 national ranking. Eli declared himself available in the 2016 NFL Draft and was snapped up at #10 by the Giants as part of their ambitious defensive makeover. Working opposite free agent Janoris Jenkins, Eli played a solid game in the season opener, recording four tackles in his pro debut to help the Giants beat the Cowboys, 20–19. He made his first NFL interception in a December game against the Steelers and finished the season with 51 tackles. Instead of taking an expected step forward in 2017, Eli played unevenly and was disciplined by the coaching staff on at least three occasions, including for texting on the sidelines during a game. Eventually his teammates came down on him, suggesting he needed to grow u. Landon Collins described him as a cancer. In 2018, new Giants coach Pat Shurmur said Eli would have a clean slate. He began the year in the starting lineup but was sidelined in September by a groin injury. On October 23rd, the Giants traded him to the Saints for draft picks. The trade reunited Eli was Ohio State teammate Von Bell and gave Eli new life with a playoff contender.